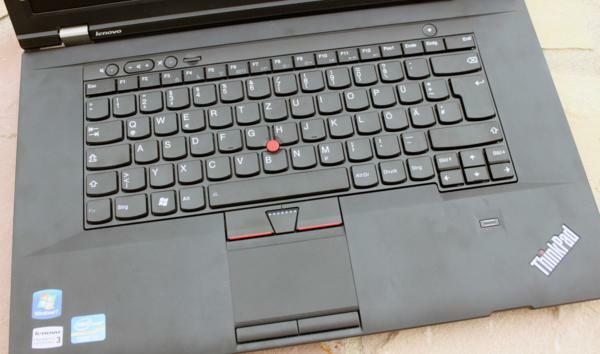 Lenovo ThinkPad L530 with 4 GB memory and 500 GB disk. This one is an UEFI BIOS, and it works okay, for what I use it for. I needed eCS 2.2 b2, and DFSEE, to get it to install. I also require the QSINIT loader to get more than 512 meg usable. Sound sort of works, with UniaudUpdate1.09.06-2.02.01.zip, and some messing with UMIX. UniaudUpdate-1.09.06-1.09.26.zip won't even load. The "problem" is that it sounds like there is maximum reverb applied, so it echos on, and on. I haven't spent a lot of time with this, because I don't really care if sound works, or not. There is a USB 3.0 adapter, which doesn't work, of course, but the 2 USB 2.0 adapters work well. The wired NIC (Realtek) works with the Arca Noae MMRE driver, as well as with the older R8169 driver. Panorama works well (again, I chose the 1600x900 screen). WiFi (an Intel chip) works to the point that I can use GENMAC to load a driver, but I can find no way to turn on the radio. It does exactly what a wired NIC will do, when there is no cable attached. Again, I use the D-Link DIR-506L for WiFi access. This one also has a built in camera, which works with WebSee. AMouse works, and the Trackpoint, the Touchpad, and an external mouse all work. I would love to turn off the Touchpad in the BIOS, but there is no setting, so I have had to tape a piece of cardboard over the pad, to keep my hands off of it. <P> It took me about 6 months to get the L530 to go properly. Of course, it would be a LOT easier if I just wiped windows, but I didn't want to do that.